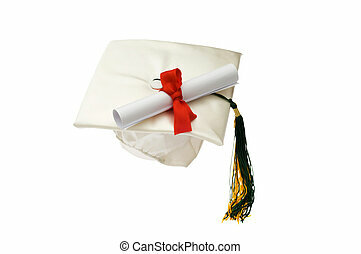 Graduation cap and diploma. 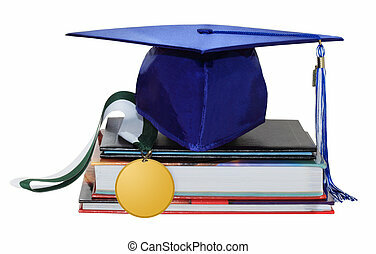 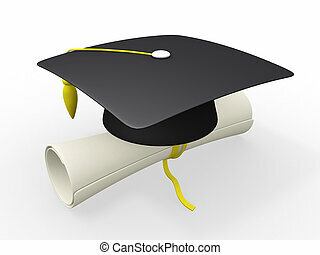 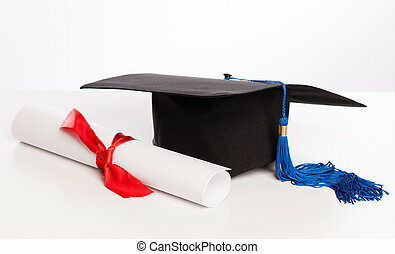 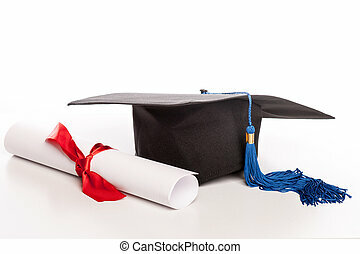 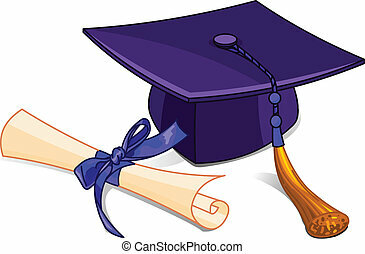 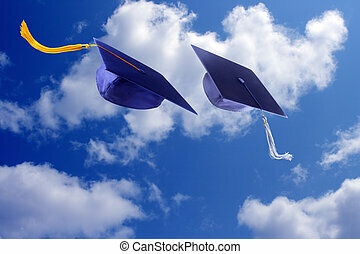 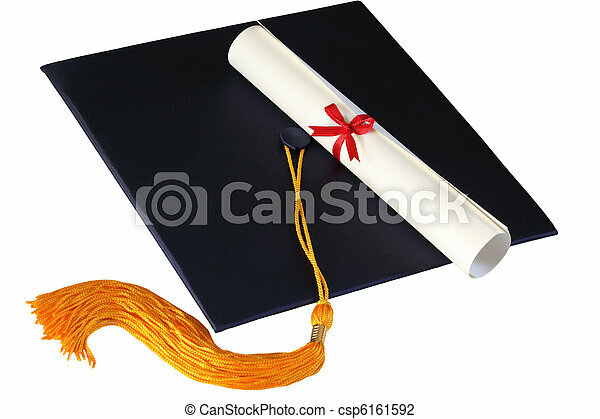 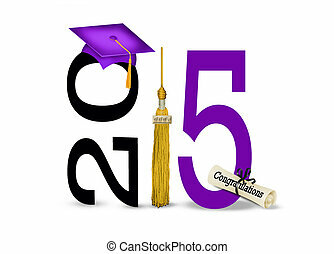 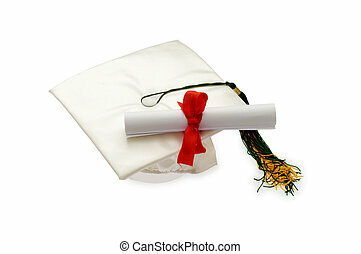 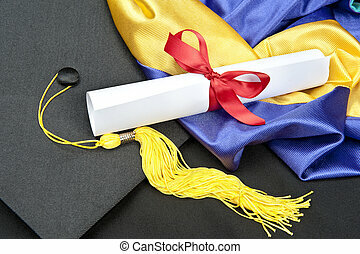 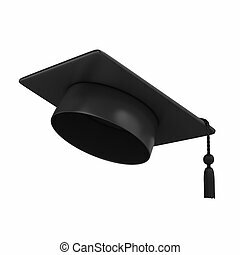 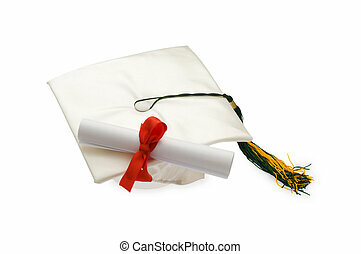 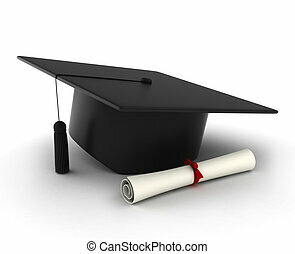 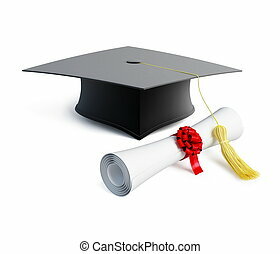 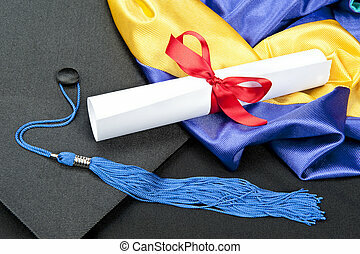 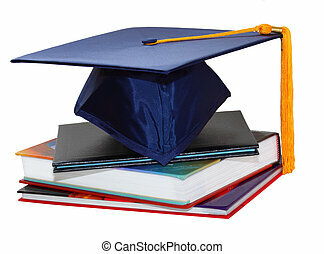 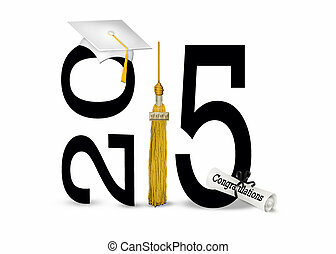 Graduation cap and diploma isolated on white background. 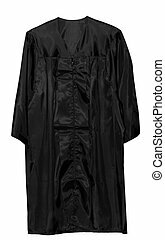 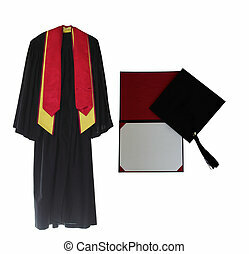 A graduation setting with cap,tassel, gown, hood and diploma.